It is not BEDLAM's goal to simply recreate performance practices of early music, but to use the knowledge of such practices to produce vivid, visceral, and above-all, entertaining music! BEDLAM is Kayleen Sánchez, soprano, and Laudon Schuett, lute. Bedlam is a 15th and 16th century colloquial term for the Bethlem Royal Hospital in London, England. At the time it was an infamous psychiatric facility and an inspiration for artists and writers living around it. The term Bedlam eventually entered “everyday speech to signify a state of madness, chaos, and the irrational nature of the world” (Andrews et al. 1997, p.1-2, p.130-131). Perhaps the most famous musical reference to Bedlam is Henry Purcell’s “From Silent Shades and the Elysian Groves,” also known as “Mad Bess of Bedlam” and is an early example of the “mad song” genre. 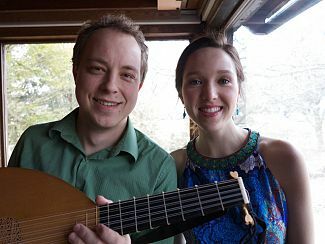 Both Kayleen (BM, MM in Voice) and Laudon (MM,DMA in Early Music) studied at the Eastman School of Music and have decided, perhaps madly and against all good advice, to pursue careers in music! Bedlam is dedicated to exploring the rich repertoires of music for voice and lute in the 16th and 17th centuries. It is not our goal to simply recreate performance practices of early music for educational purposes but to use the knowledge of such practices to produce vivid, visceral, and above-all, entertaining music. We hope you enjoy! Soprano Kayleen Sánchez is an imaginative, inspiring, and deeply communicative artist and teacher. Recent appearances include performances with the Haymarket Opera Company, the Newberry Consort, the St. Charles Singers, and the South Dakota Symphony Orchestra. 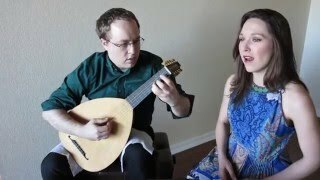 In 2013, Sánchez and lutenist Laudon Schuett formed BEDLAM, an early music duo. BEDLAM has performed for the Phoenix Early Music Society, Pegasus Early Music, and the Rochester Early Music Festival, and has been broadcast on Rochester’s WXXI, WWFM’s “Well-Tempered Baroque”, South Dakota Public Broadcasting, and Arizona PBS. Their debut album, BEDLAM (Athyr Records) was released in 2015. An active recording artist, Kayleen’s other recent CD recordings include MAGNIFICENT MOZART (St. Charles Singers, 2012), LUMINESCENCE (St. Charles Singers, 2013), and Music of George Morey (expected release 2016). Her performances have been broadcast on Chicago’s WFMT and on South Dakota Public Broadcasting television and radio. CD releases in 2016 include West Meets East (Albany Records) and Magus Insipiens (Soundset Recordings), performing music composed by her husband, Paul Sánchez. 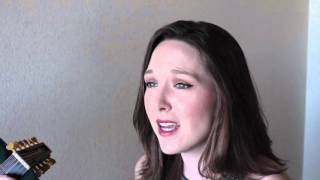 In 2016 Kayleen joined the voice faculty at the College of Charleston. 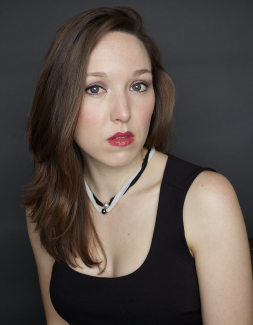 Kayleen is a graduate of the Eastman School of Music, where she earned her Bachelor of Music and Master of Music degrees in Vocal Performance and Literature. Program notes, lyrics, and translations are found in the menu under "Files" and may be downloaded as pdf documents.